Iron Man. Thor. Captain America. They've been the Avengers' heart, soul and fighting spirit since the team's earliest days. 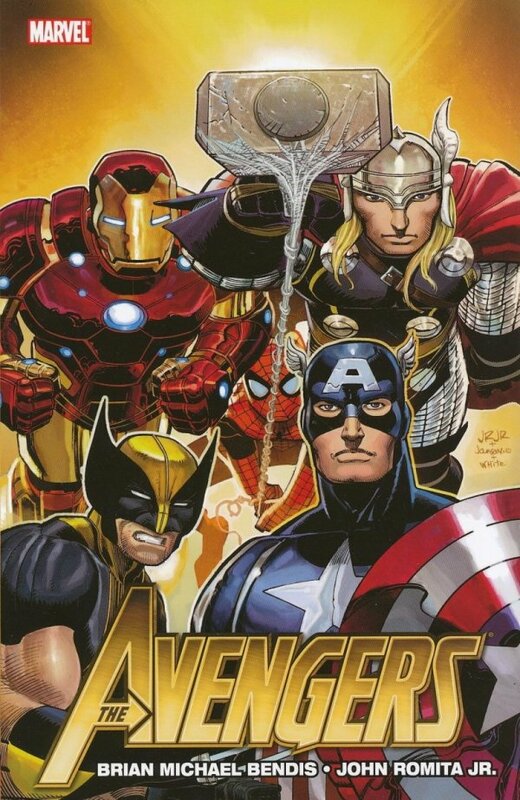 Three of Earth's Mightiest Heroes, joined together to fight the foes no single hero could take on alone. Now, with the dawning of a new Heroic Age, this trio again finds cause to band together. And with the likes of Hawkeye, Spider-Man, Wolverine and Spider-Woman at their side, this truly could be the most powerful Avengers lineup of all! 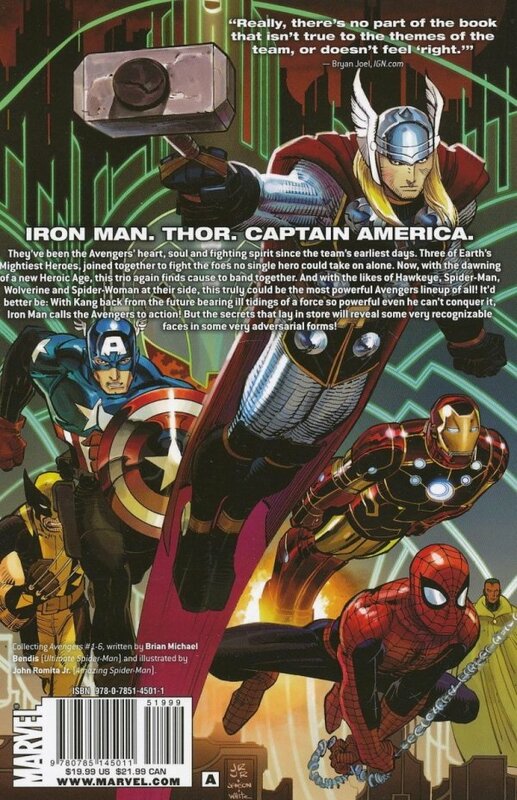 It'd better be: With Kang back from the future bearing ill tidings of a force so powerful even he can't conquer it, Iron Man calls the Avengers to action! But the secrets that lay in store will reveal some very recognizable faces in some very adversarial forms!